Fears over Bank of Ireland €2bn tech revamp cost - Otap Projects Ltd.
Sources close to the project that spoke to The Times, say there are growing concerns about “scope creep”, with the plan being changed regularly in a bid to keep the lid on costs. The budget for the IT project, which aims to replace all the bank’s legacy systems was increased from €900 million to €1.4 billion in the summer of 2018, including an extra €250 million allocated for business restructuring. As reported in October 2017, Bank of Ireland’s new CEO was understood to be reviewing Project Omega. At that time, analysts from research firm The Davy said in a report that although Bank of Ireland investors have “digested the cost” of the IT programme, they have not yet factored in its benefits, including that it will “materially improve” the lender’s cost-income ratio and return on equity. The bank embarked on the revamp in 2016 – with a price tag of €500 million. The offering is known as Capgemini’s Banking Platform, and is underpinned by Temenos’ flagship core system, T24. Meanwhile, another major consultancy firm Accenture was selected as the delivery partner, FinTech Futures understands. Bank of Ireland says the projected cost remained at €1.4 billion. 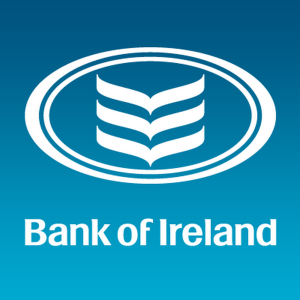 In its latest financial results, the bank says this “transformation” saw an investment of €306 million in 2018 for “growth ambitions, improving customer service and driving efficiencies”. It notes hat €113 million was expensed to income statement. The bank says the “foundations” of the new core banking platforms are in place, with a new mobile banking app launching this year. It explains its “first full scale customer deliverable” is using new Temenos technology.